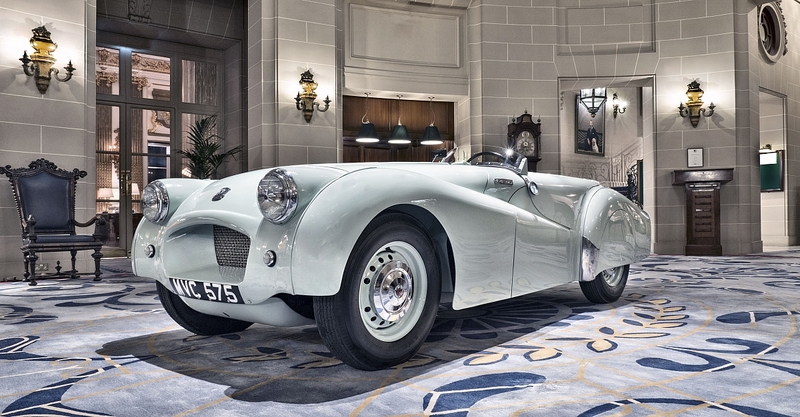 Octane Magazine have nominated six of the most important cars from the historic motoring world for CAR OF THE YEAR 2018 and the famous Jabbeke Landspeed TR2, known as MVC575 is in the running. The winner of the Octane readers' choice will be crowned at the 2018 Historic Motoring Awards but it needs your vote - so get voting now! The shortlist for the Historic Motoring Awards Car of the Year has been announced and contains six possible winners. In our view though, there can be only one clear favourite and that is the Jabekke TR2 MVC575 that was so lovingly and skilfully restored by Glen Hewitt of Protek Engineering, Wallingford. We documented the restoration blow by blow in TR Action Magazine and unveiled the completed car to the world at the NEC Classic Motor Shows in Birmingham. The winner will be decided by your votes, so Glen and MVC575 need all the help we can get them. The cars on the shortlist are the most important to have emerged, re-emerged, come to prominence, or had the biggest impact on historic motoring in the past year. There is not long as voting will close on 25 September 2018. The awards ceremony takes place in London on 25 October 2018, in the ballroom of the Art Deco Sheraton Grand London Park Lane Hotel. The Historic Motoring Awards, now win their 8th year honour the elite of the historic motoring world and are presented by Octane, held in association with EFG Private Bank. The Jabekke TR2 MVC575 is the one!!! I give him my vote ! !